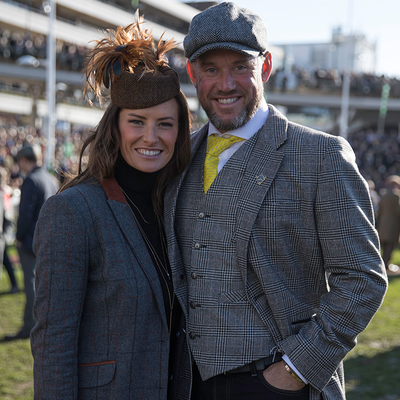 Each and every tweed piece is hand cut and made wholly in Great Britain. The superior wools are expertly woven into magnificent tweeds in mills that have been running in excess of 200 years. 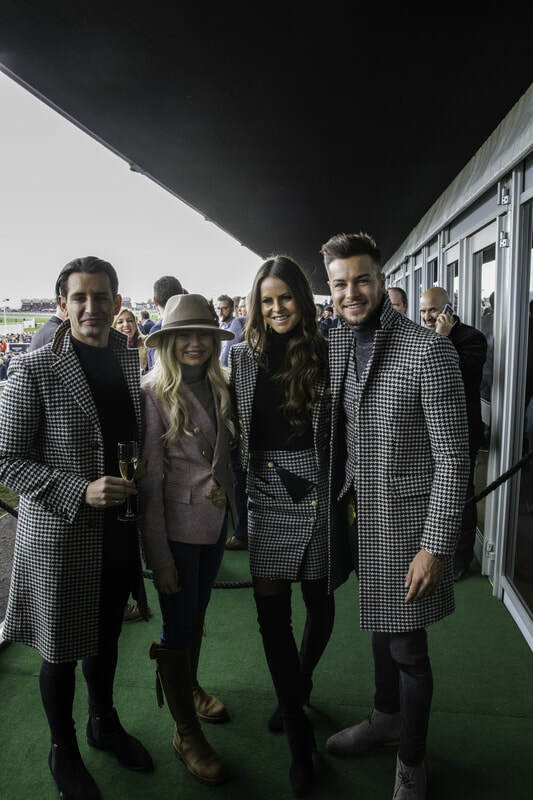 Holland Cooper's offering is collectively outwear, lusted after by many racegoers and the go-to label for notable names including Lee Westwood, Mike Tindall, Carl Hester, as well as, reality TV stars Ollie Locke, Hugo Taylor and Chris Hughes. Across the four days of the Cheltenham Festival, our focus was on friend of The Cotswolds Gentleman Chris Hughes and his truly show-stopping style. 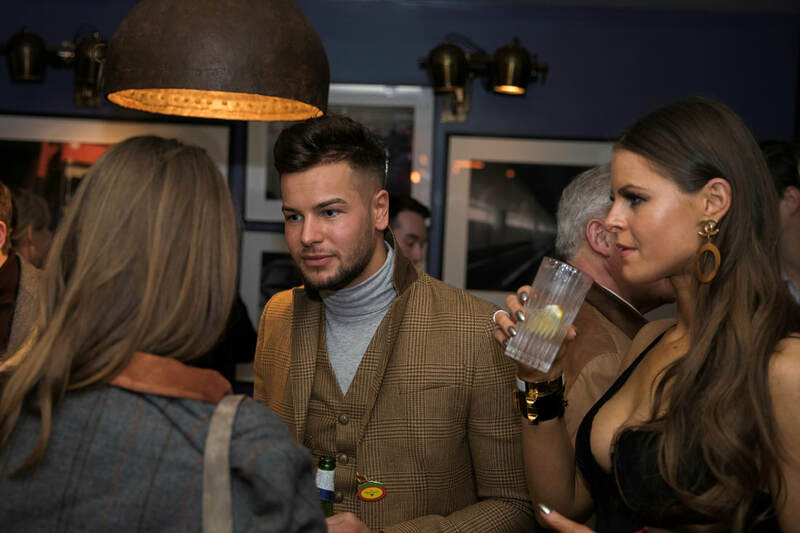 The first stop in preparation was Holland Cooper's Moreton-In-Marsh showroom where designed Jade personally styled him with some key trends matching Chris' natural style with Holland Cooper's contemporary designs. Chris opted for the Finsbury Over Coat and St James Waistcoat in the hounds tooth print, instantly adding a dash of panache to his outfit of the day. 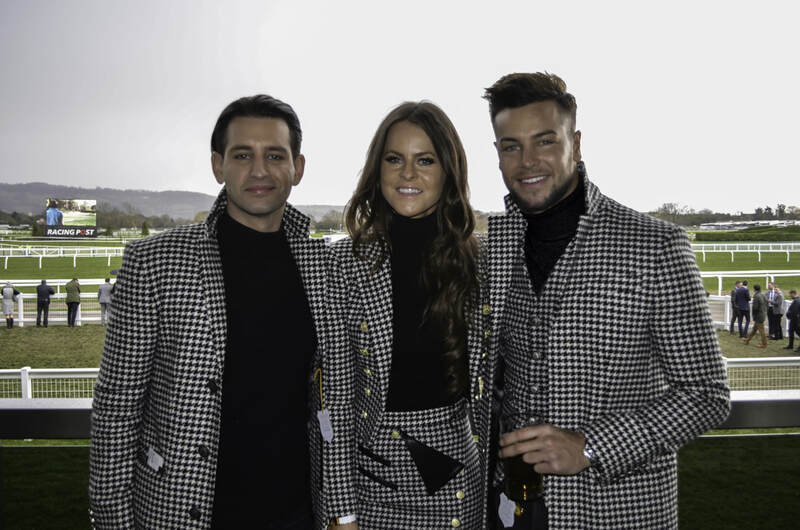 Also spotted in the same bold print were Ollie Locke and Jade Holland Cooper, hitting the headlines with their statement look. 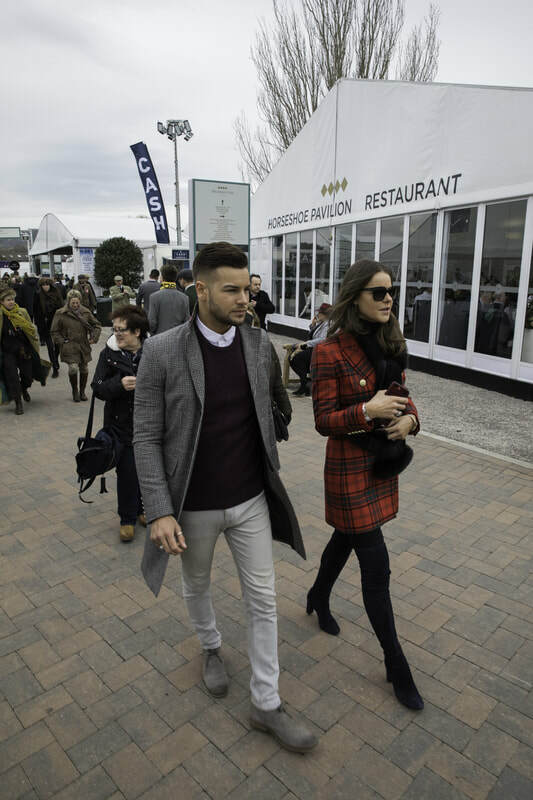 Chris embraced classic style in the Finsbury Over Coat in Prince of Wales Check, tastefully complemented by a chunky burgundy knit over a white shirt and light wash chinos. The ideal wardrobe staple to see you through this season and beyond. Visit www.hollandcooper.com to shop Chris' style.